So thanks to Tac Pak, I was able to get my hands on a pretty nice accessory for my rifle. 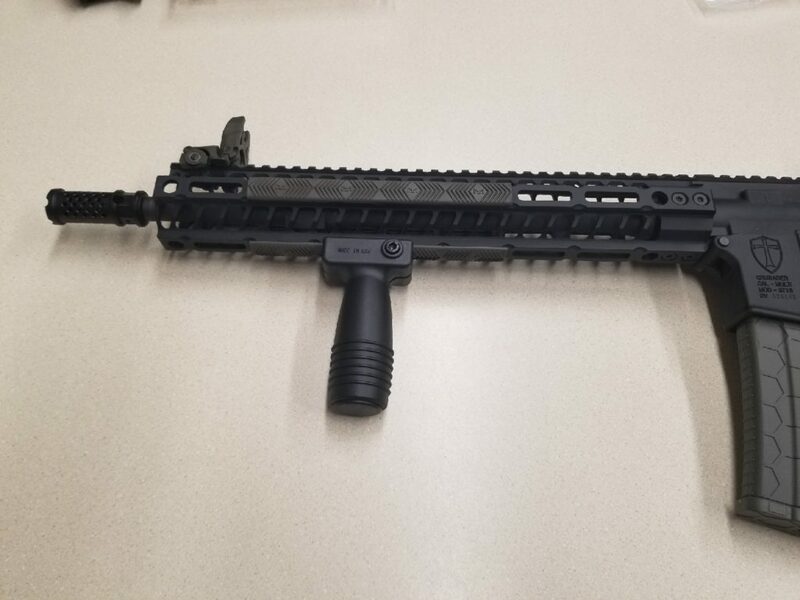 What I am going to be talking about in this article is a vertical fore grip from J&E Machine Technologies. 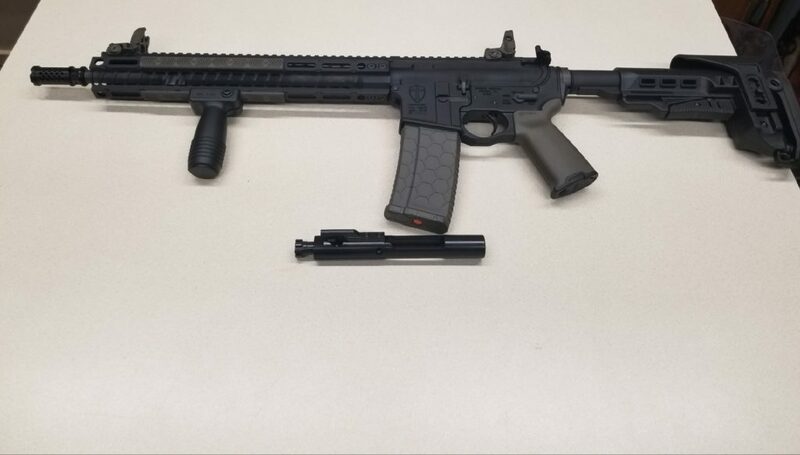 When it comes to fore grips I really never had the chance to put one on my rifle since I was in the military, so this was a perfect chance to be able to get my hands on one and really put it to the test. 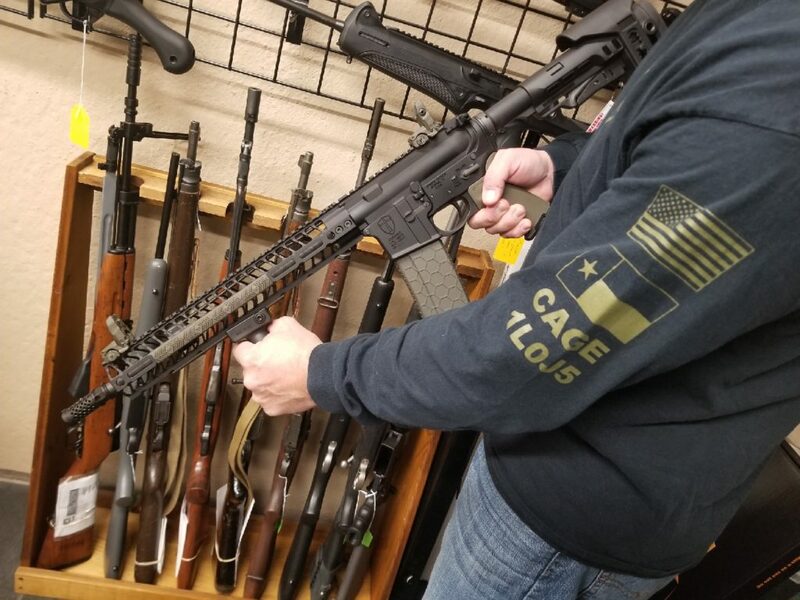 For a vertical fore grip, there really isn’t much in terms of characteristics to focus on when it comes to reviewing a fore grip, so here it goes. When it comes to the fore grip from J&E Machine Technologies, the installation is super easy. All you have to do is fit it on to the rail when it comes to installation. There is a little knob on the side of the grip that when you turn to tighten the grip to the rail. Easy enough right? Installation isn’t really super hard when it comes to this grip so I give it good marks on this. Loctite was added to this just as a way to make sure that the grip doesn’t become loose during my time shooting. The grip does feel good in the hands when I am using it so that is something that I find extremely helpful. I have used a good amount of fore grips in the time that I have been shooting, but a lot of them really haven’t felt comfortable in my hand when it comes to shooting. Most of them I could never get a proper grip on them or it was just more of a hindrance than a help. I would always just end up position my hand farther down the rifle, and end up completely disregarding the grip. 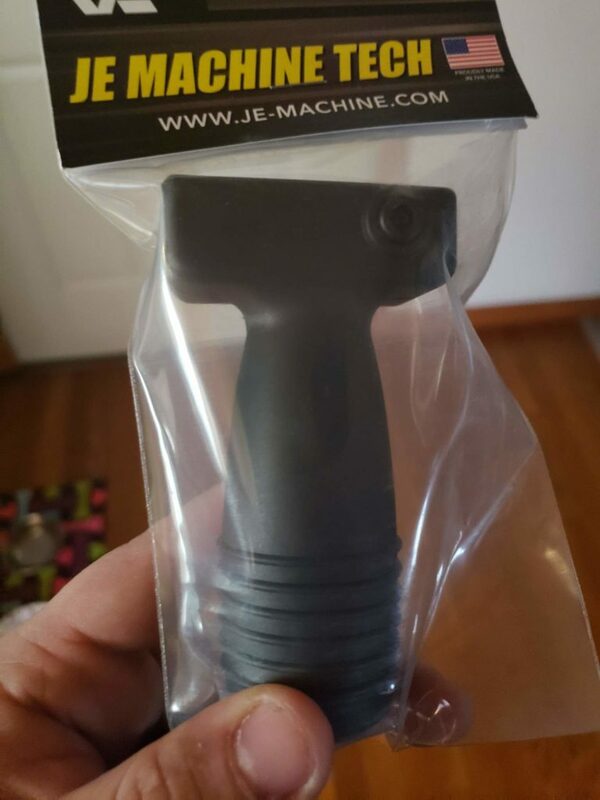 When it comes to this grip from J&E Machine Technologies I really haven’t had that problem. When it comes to how it affects my performance on the range, I would have to say that I solid control of the rifle still, and I am able to move from target to target just as smooth. When it comes to my overall experience of the grip from this company, I think that this is well made. It comes at a decent price for the quality. In my opinion I would recommend this foregrip to anyone that is looking for something for their rifles that will won’t break the bank, but still offer them solid performance.